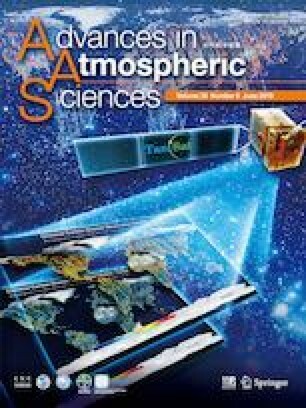 The application of satellite radiance assimilation can improve the simulation of precipitation by numerical weather prediction models. However, substantial quantities of satellite data, especially those derived from low-level (surface-sensitive) channels, are rejected for use because of the difficulty in realistically modeling land surface emissivity and energy budgets. Here, we used an improved land use and leaf area index (LAI) dataset in the WRF-3DVAR assimilation system to explore the benefit of using improved quality of land surface information to improve rainfall simulation for the Shule River Basin in the northeastern Tibetan Plateau as a case study. The results for July 2013 show that, for low-level channels (e.g., channel 3), the underestimation of brightness temperature in the original simulation was largely removed by more realistic land surface information. In addition, more satellite data could be utilized in the assimilation because the realistic land use and LAI data allowed more satellite radiance data to pass the deviation test and get used by the assimilation, which resulted in improved initial driving fields and better simulation in terms of temperature, relative humidity, vertical convection, and cumulative precipitation. Supplementary material is available in the online version of this article at https://doi.org/10.1007/s00376-017-7120-4. 同化卫星辐射数据可提高数值天气模式的预测精度. 但由于地表信息的不准确, 以往研究中通常会剔除对地表较敏感的低层通道中的辐射数据, 从而大大降低了卫星数据的使用率. 本研究以青藏高原东北部疏勒河流域2013年7月份降水模拟为例, 通过更新WRF-3DVAR同化系统中下垫面土地利用类型和叶面积指数数据, 来分析改进的土地覆被对辐射资料同化的影响. 结果表明, 更新土地覆被后, 在对地表敏感的窗区通道中, 模拟的辐射亮温值与实际观测值更为接近, 使更多的卫星数据通过偏差检验并在同化系统中得到应用. 而对于非窗区通道, 土地覆被更新对辐射亮温的模拟影响较小. 同化系统中卫星辐射资料利用率的提高使WRF模式对研究区内降水的模拟得到了一定程度的改进. This study was supported by the National Key Research and Development Program of China (Grant No.2016YFA0602701), the National Natural Science Foundation of China (Grant Nos. 41721091, 41630754, 91644225), and the Open Program (Grant No.SKLCS-OP-2017-02) from the State Key Laboratory of Cryospheric Science, Northwest Institute of Eco- Environment and Resources, Chinese Academy of Sciences.